Sp/So stabilizes society; So/Sx entertains and stabilizes, Sx/Sp intensifies human relationships. In that manner, all synflow stackings form an ecosystem. The same applies to the contraflow stackings; they also create an ecosystem of their own. Sx/So brings paradigm shifts of thought into the picture; So/Sp creates new impulses in the sense of how the environment and society could be better stabilized; Sp/Sx is the underground world beneath the surface, those individuals can also bring about different paradigm shifts by resisting the influence of others around them or challenging the status quo indirectly; their focus is on individuals and stabilizing intensity. I find the contraflow stackings tend to “disrupt” the ecosystem of the synflow people, in the way they send those re-shifting impulses into society. Both ecosystems are overlapping; both synflow and contraflow people are part of all societies, though one ecosystem tends to “reign” over the other in certain cultures, or at least be at the forefront. Most Western people seem to be Synflow, though there are quite a bunch of Sp/Sx individuals in the mix, the richest people in the world are typically So/Sp – money is power, and the “loudest” and most influential humanitarians are typically Sx/So. In sum, it feels like the flows are balanced; yes, there are more synflow people, but the contraflow people are “louder” and more influential. Dynamically, it is like there is a constant tug-and-pull between the synflow and contraflow ecosystems. Contraflow movements can change the mindset of a culture for centuries, or at least a decade or two. Then stability sets in more or less; the new ideologies get “cemented” by the synflow individuals. Like for example the acceptance of homosexuality and gay marriage; first ignored or even detested by most of society, and over time the wind shifted and synflow people (myself included) started to support the movement, and this eventually lead to that kind of acceptance becoming more “mainstream”. But over time, another seed of disruption and innovation will have spawn, and another movement will re-orient the flow of events. Perhaps this is nature’s way to ensure that people keep adapting to new situations and do not stagnate. It seems like a society made up of only synflow people would stagnate and not develop into more varied shapes. On the other hand, a society made up of only contraflow people would be “lop-sided” and lack the stability. At the worst, a synflow society is totalitarian and expects everyone to conform to the status quo, whereas in a contraflow society at the worst, anarchy would be the main principle – a “dog eats dog” kind of world. 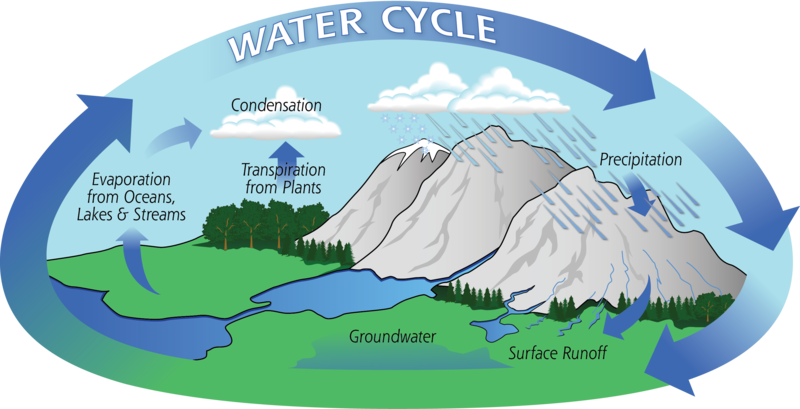 The Synflow cycle resembles the water cycle. Another way to think of the flows is by imagining a cycle. Here is an example of a very Sp/So-synflow cycle, which goes clock-wise. Just like the water evaporates from the “ground” up (technically the oceans etc “on the ground”), forms into clouds in the heavens, and then leads to rainfall back to the ground, so does it all start with Sp/So from the ground up, the self-preservation instinct – the most grounded instinct that most likely has developed first; from there, you are being lead into the groundless heavens of So/Sx, and from there you move back to the ground in an intense downpour of Sx/Sp. The cycle of volcanic eruptions resembles the Contraflow cycle. The cycle of contraflow, on the other hand, goes anti-clock-wise. We start deep in the ground, underneath the surface, in the world of Sp/Sx. There is a lot of pressure down there. Over time, the Sp/Sx will turn into magma, this intensity cannot be contained forever, it erupts into an Sx/So explosion of lava and spreads all over the earth in an aggressive and destructive fashion, forcing the world to change. After a while, the lava of the Sx/So will have cooled off, new So/Sp trees and plants will have grown and the lava will have turned into the solid rock of So/Sp. The water cycle is crucial for obvious reasons; we humans all need to consume water to survive. We do not need volcanic eruptions, but afterwards those can lead to a re-newed world. Or in other words: “The good thing is that volcanic soil is very rich, so once everything cools off, plants can make a big comeback!” In human society, the contraflow stackings can essentially give us a fresh new plate to go off from. Both flows can benefit from each other; the contraflow’s agenda is best stabilized and implemented by the synflow people, and the synflow people are being “awakened” or “stirred” by the contraflow ones. However, because both stackings have different agendas, often even quite contradictory ones, it can take quite a while until they have reached to a consensus. You could perhaps compare the misunderstandings but also fruitful collaborations between the stackings to the ones between the male and female sexes. Females and males have different brains and different reproductive strategies and agendas, but together they are the most successful. And the same could apply to synflow and contraflow. You didn’t come up with the syn-flow/contra-flow theory. That originally came from enneasite.com. Why don’t you give credit to people where credit is due instead of trying to elicit donations by passing other people’s hard work off as your own. You are clueless about the enneagram. I’ve never claimed coming up with the theory on my own. I will link the site in the article. Usually I link to other sources, but this time I simply didn’t think of doing so, because synflow/contraflow has become such a common term just like instinctual stacking. I have written articles about instinctual stacking before, but never claimed to have come up with theory either, nor have I referred to whoever has; because I honestly don’t even know.